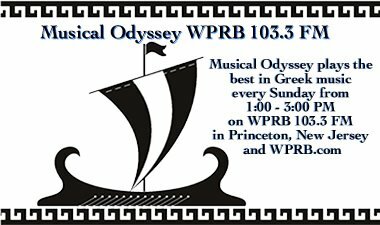 On the show I talked about and played music from Rosa Eskenazi. A good website devoted to her can be found here. Check out the photos and recommended CDs. Below is a video of her performing and talking about her career. Haris Alexiou appears at the end of the video. Today I talked about and played music by Melina Mercouri. Below is a video of her from the movie Stella. We will heard some music Savinna Yannatou and Miguel Gil (which I mentioned last week but did not play. See last weeks post here which has a link to a video of them performing. I also played a request for Elpida. Today I talked about and played music from Savinna Yannatou. Information about her can be found here (last.fm) and also here (her official website). Below are videos from Sarbel singing Mi Chica which we heard today. You can also see Savinna Yannatou singing Cançó dels traginers with Miguel Gil on this youtube link here. This is worth checking out. 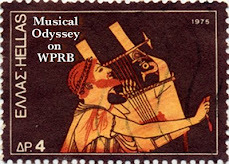 I have also created a Musical Odyssey page on last.fm where you can listen to samples of Greek music. You can see it here or look at the last.fm playlist on the menu page to the right (you might have to scroll down a little).